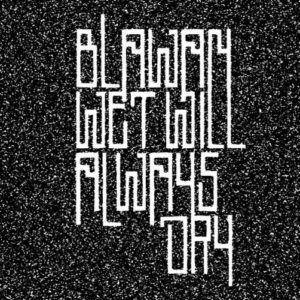 Blawan belongs to techno’s alpha players in this decade and after supplying several labels with floor weapons, the artist has lately remained faithful to his own platform Ternesc. Last year’s double EP is now followed up by the debut album where the UK-born Wahlberliner seems to have found an efficient formula for those who don’t have too much faith in techno’s long formats. “Wet Will Always Dry” is a well-balanced work where heady undercurrents are complementing the banging side. His muscular techno is partly referring to the nineties Downwards and consorts, without sinking into dubious dèja-vu feelings. In the same, the album is free from any sort of ambient or drone paraphernilia. In “Klade”, first we are witnessing near-field noise of plumbing systems, before slender hi-hats and limestone percussion kick in and release a squadron of mechanical bumblebees. 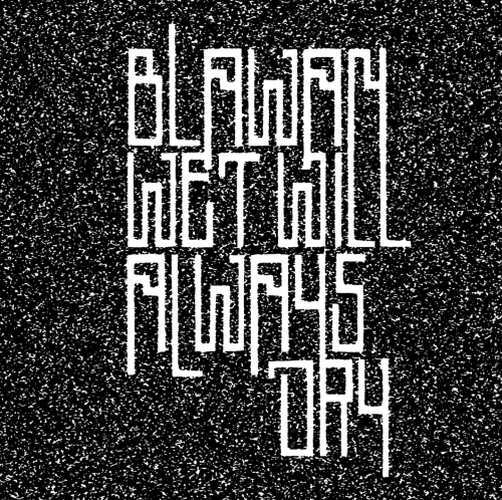 An undisputed highlight is “Careless”, where post-punk beats are carried by agile synths, Blawan’s foggy vocals echoing from a remote corner. After storming “Tasser”, the B2 cut “Vented” personifies tight flamethrower techno where ancient purity is combined with contemporary dynamics, turning absolutely brilliant at the mid-track mark. The second part of the two-vinyl set is more about straight techno tracks (“North”, “Kalosi”), while special mention is going to modular-meet-dub piece “Stell” and “Nims”, a crunchy bassful workout decorated with Latin-tinged riffs.